Day 11 of #30DaysWild was spent volunteering on two stalls at the Lickey Festival. For the first part I was at the Lickey Hills Ranger stall (hayfevering mostly, but also talking to people about bees). For the second part I was talking to people about geology, on the Geo-Champions stall. I spent about 40 minutes explaining everything about geology and geological history to two policemen! The stall next to the Rangers was an animal stall, and they had rabbits, a meerkat, a skunk, spiders, snakes and stick insects. I love snakes, so I held one! It slithered around my neck and shoulders for a bit before settling down in the warm and snuggly hood of my jumper. 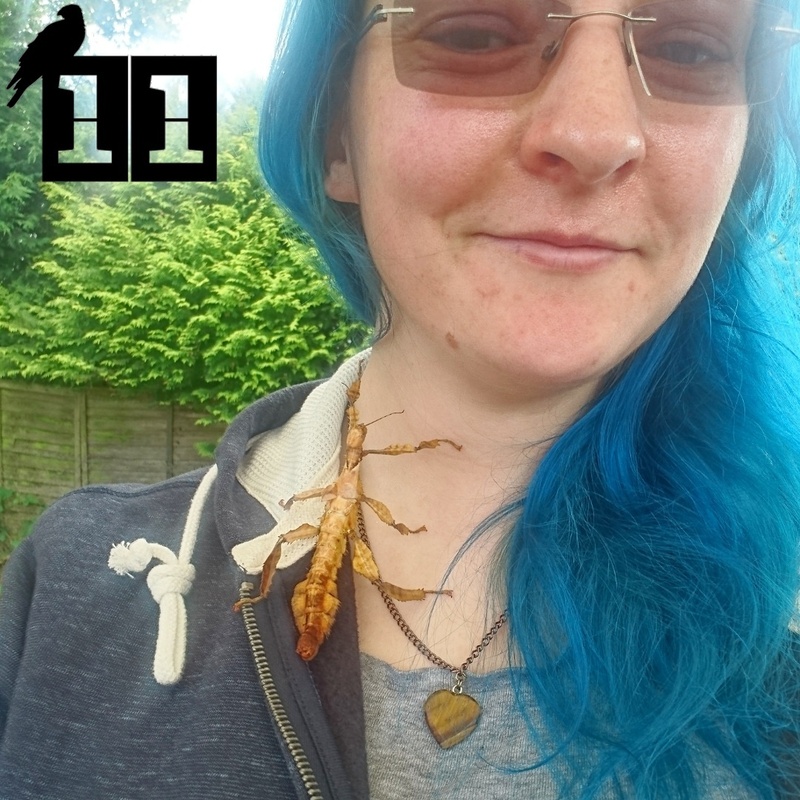 After the lady retrieved him, I then held a stick insect, who crawled up my arm and settled on my throat. Its feet were very tickly!